What Super Smash Bros. 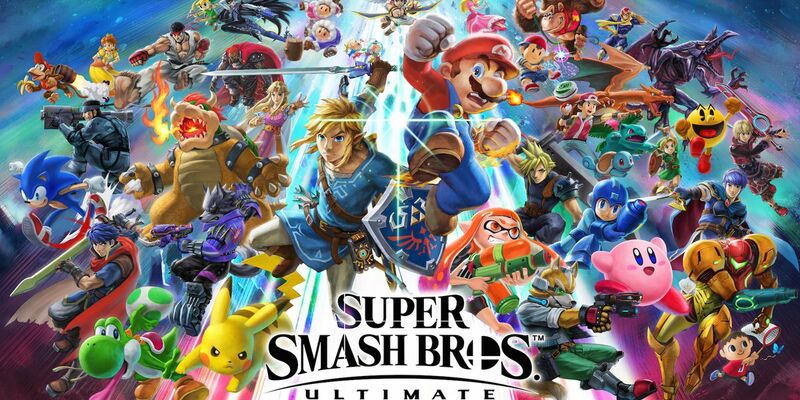 Ultimate Needs to do to Actually be the Ultimate Super Smash Bros.
Super Smash Bros. hype is a unique entity for me. On one hand, Super Smash Bros. is one of the few remaining series where the announcement of a new entry gets me genuinely excited. But of all my favorite gaming franchises, Super Smash Bros. is the one that can (and has) disappoint(ed) me the most. Of course, it shouldn’t be too surprising, considering this is a series largely built around fanservice, so when it fails to deliver on a much-wanted character or (in the last entry’s case) seems to cater to director Masahiro Sakurai’s favoritism, the experience can feel a bit sullied. That’s not to say that the games aren’t good though. Super Smash Bros. for Wii U, despite being the entry I have the most complaints about in terms of character selections and omissions, is actually the most solidly designed and technically sound iteration yet. Hell, even the bafflingly reviled Super Smash Bros. Brawl is still a really well made video game. But again, this is a series that’s built around Nintendo’s history, and its fandom. So when it feels like Nintendo’s history and its fans are being ignored, it really stings. 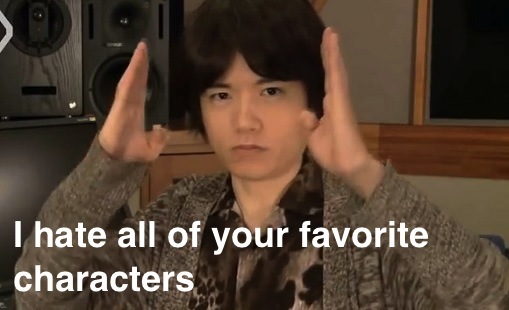 Case in point, Masahiro Sakurai has actively asked fans to suggest characters for the series since Super Smash Bros. Brawl was in development, and yet, the three most consistently requested characters – Metroid’s Ridley, Donkey Kong’s King K. Rool, and Super Mario RPG’s Geno – were just as consistently ignored. None of them made it into Brawl, and in Super Smash Bros. for Wii U and 3DS, Ridley was made into a stage hazard, while Geno and K. Rool weren’t even that lucky, being represented solely by Mii Fighter costumes, which felt like a blatant middle finger to the fans on Sakurai’s part, especially seeing as that particular entry had a sudden emphasis on his own characters (Kid Icarus suddenly seemed to get plenty of references, conveniently after Sakurai directed Kid Icarus: Uprising on 3DS). Sakurai has tried to explain his reasons for leaving out requested characters, but most such reasons seem more like half-hearted excuses than anything. He often claimed that “Ridley was too big,” even though by that logic, Captain Olimar should be too small. Or he would claim that he would go over the character and see what uniqueness they would bring to the table…only to fill a good chunk of the roster with clone characters. 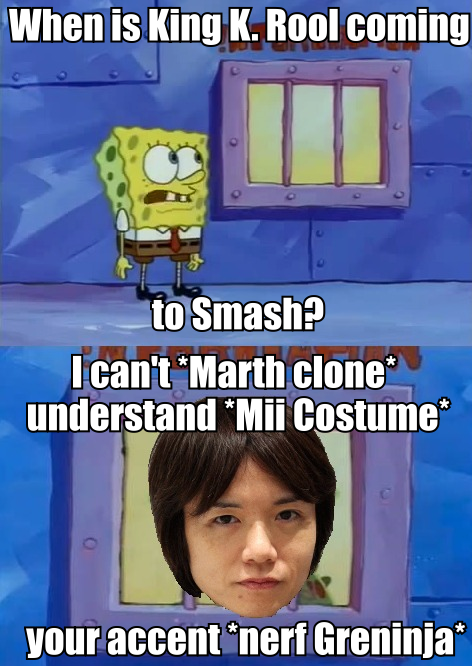 Basically, Sakurai’s excuses end up feeling like just that, excuses. Look, I get that not every character can make it in, but when you actively ask people to suggest characters, and then continuously ignore their most wanted characters for over a decade, it’s kind of hard to accept the excuses. Even worse, however, are the people who defend Sakurai’s every action (whom I refer to as “Sakurai apologists”). Again, I understand not everyone can make the cut, but when people actively defend things like the “Ridley is too big” argument and the overabundance of clone characters, it’s like, just… come on! Sakurai is a great game designer, but it’s okay to admit to his mistakes. And well, blatantly ignoring fan requests after asking for fan requests, and resorting to simply copying existing characters and claiming its another are definite mistakes. These people will often question what a potential character’s moves would be, but that’s an argument that seems beyond pointless, considering that from Super Smash Bros’ very first entry, Captain Falcon has been a playable character. He’s a character who, in his own series, was never seen outside of his racing vehicle! If they could turn him into a fighter back on the N64 in 1999, there’s no reason why Sakurai and company couldn’t get even more creative with current hardware. This brings me to the point of all this ranting: Super Smash Bros. Ultimate has the opportunity to live up to its name. The game is being billed as the “Smash Bros. for everyone” and is set to include every single returning character from the series’ history, which is a good start. However, the real big news is that Ridley has finally joined the Super Smash Bros. roster as a playable character! Finally, after over a decade of waiting, the patience of Metroid fans has been rewarded. On the downside of things, Sakurai has already stated that there won’t be too many new additions to the roster this time around. I suppose that makes sense, with so many characters in the game, they’re running lower and lower on classic characters to choose from. But that’s just my point, if we’re only going to get a ‘few’ new characters, why not make them characters that count? Of the three most consistently requested characters, Ridley has now become the first of the trio to make the roster. So, why not finally pull the trigger and deliver the other two as well? K. Rool and Geno are two characters that have so much potential for the series – let alone their fan support – that not adding them in at this point would seem like petty spite. Hardly what you would want from a game that’s supposed to be the Ultimate edition of a franchise largely built on fanservice. That would already make something of a statement for the series. It’s like, not only would we be getting every past character from the series history, but also the three most requested, ever-elusive characters. Whatever other newcomer selections could also potentially be filled with old fan-favorites. Again, if the newcomers are going to be few in quantity, they really better make them count in terms of quality. Of course, even with Ridley’s inclusion, there are still causes for some concerns. The fact that clones now have the ‘official’ label of “Echo Fighters” has me greatly worried that Sakurai might just be doubling down on them (again, quality, not quantity. A bunch of clones is hardly something to get excited over). And in another downer, Bomberman is finally making his debut in the series…as an Assist Trophy. Considering how big of a multiplayer franchise Super Smash Bros. is, it’s a real shame that Bomberman – one of the pioneers of multiplayer gaming – can’t make the cut as a playable character. Still, Ridley’s presence gives hope that not only could Geno and K. Rool make their long-awaited debut, but that the select amount of newcomers might bring out the more creative side of the developers. If Sakurai and company can deliver everything from Super Smash Bros. past (which looks to be the case so far), and throw in the few remaining missing elements that fans have been craving, Super Smash Bros. Ultimate may just live up to its name. Between the presence of every returning fighter and the debut of Ridley, so far so good. But to make Super Smash Bros. Ultimate truly the ultimate Super Smash Bros. experience, the rest of those newcomers really have to mean something. It’d be interesting to see results for the popularity poll back during the Smash 4 DLC time to see who really are the most requested characters, like, Ridley, K. Rool and Geno obviously generated buzz, but magazines and internet polls from non official sites can be a bit shaky in volume of votes, just to see what other popular picks where and make that statement more official. 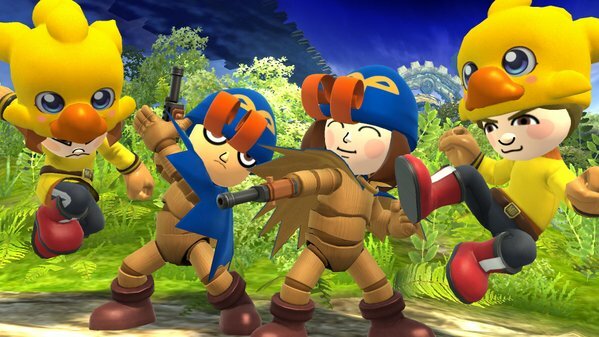 Anyhow, I have a hard time considering “echo fighters” newcomers, they’re just glorified alt skins with a fancy names, not even clones like characters like Wolf or Lucas (who have enough differences to feel less lazy), so whatever they do with those is really none of my interest, hence why I don’t care for Daisy. Now the actual newcomers themselves do have to be big stuff like just about every 3rd party addition has been or Ridley now to make them count for the lesser amount of them, even if it’s only a character or 2 more. What could those be? I dunno, I think whatever one prefers will cloud what they expect, I’m going with my bonkers theory that Banjo & Kazooie will somehow be the final newcomer, as impossible as that sounds. I would love Banjo-Kazooie in Smash Bros. so much. I do think the fans are more or less owed Geno and K. Rool at this point though. And seeing as Ridley made it in, it would be practically poetic to have all three of them make the cut. Them and Banjo would make my year.